*Affiliate links used to show like or similar items to what was used. Please see our Disclosure Policy for more info. Most people have full time jobs, kids, and/or commitments that don’t leave a lot of time for decorating for the holidays. But in all actuality, unless you want an over the top experience, you don’t have to spend a lot of time or money to decorate for any season. 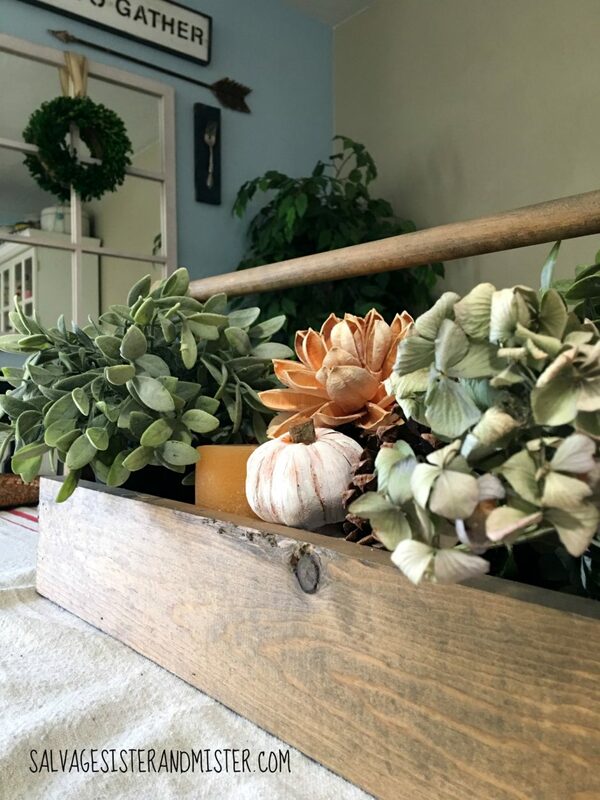 Using items from nature is a great way to decorate simple, use those pumpkins, pine cones, leaves, dried hydrangeas, wheat, etc. Not only will you have no storage issues but all of it is natural! Want a fun way to use those pumpkins with your kids? Here is our annual pumpkin smashing ritual. A chalkboard is a great way to decorate all year long. You can just change it our each season. Items that can pack a double duty (multiple holidays) really makes it easy. All you have to do is switch it over and you have it up for two holidays. On the back of this sign is a surprise. More on this coming soon! 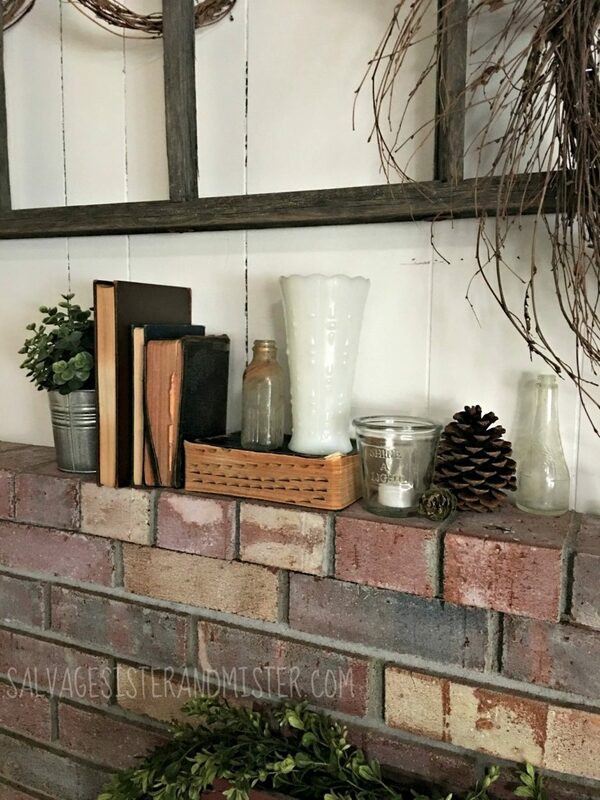 **We whitewashed this fireplace to tone down the dark red. 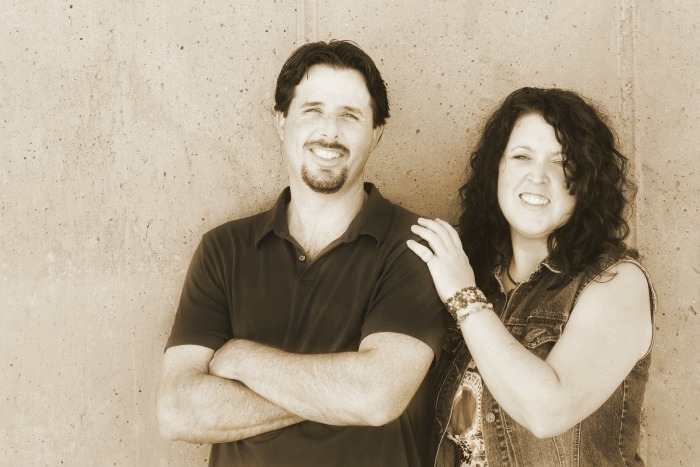 Here is more info on that super easy process! A pack of small pumpkins placed around the house works great at bringing a fall touch. Pssst – Do you know the secret this wall is hiding? I just love fabric pumpkins. I have made some and have bought a few. If you have one spot that you can keep the collection it will cut down on buying too much and you have just one item to store. 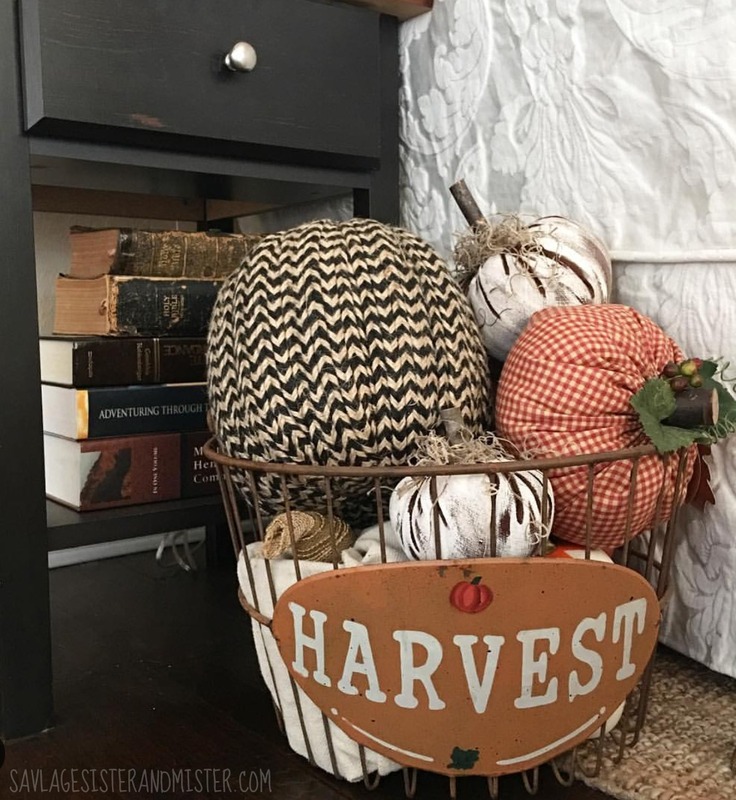 This Harvest Basket was found off of Craigslist. 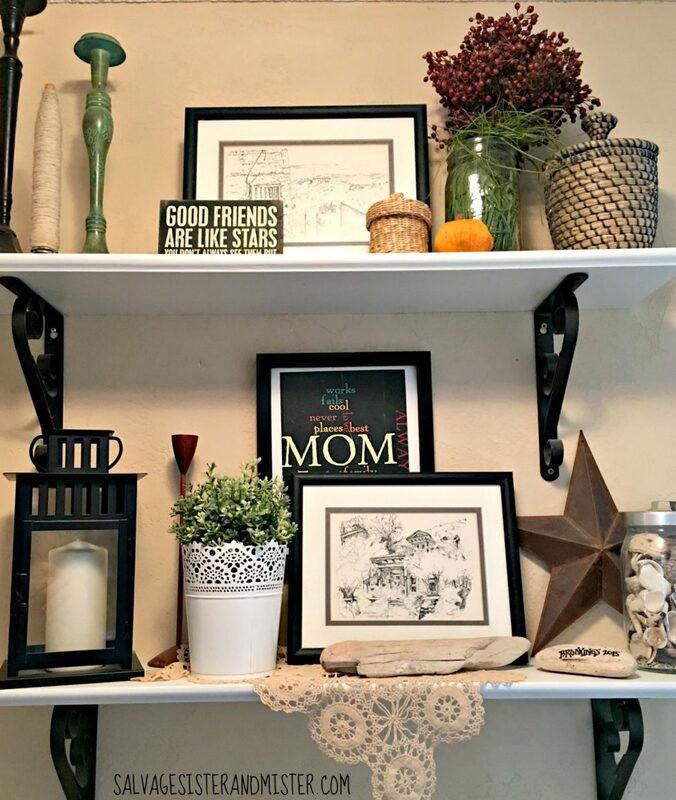 Thrift stores can be a great place to find seasonal décor items. 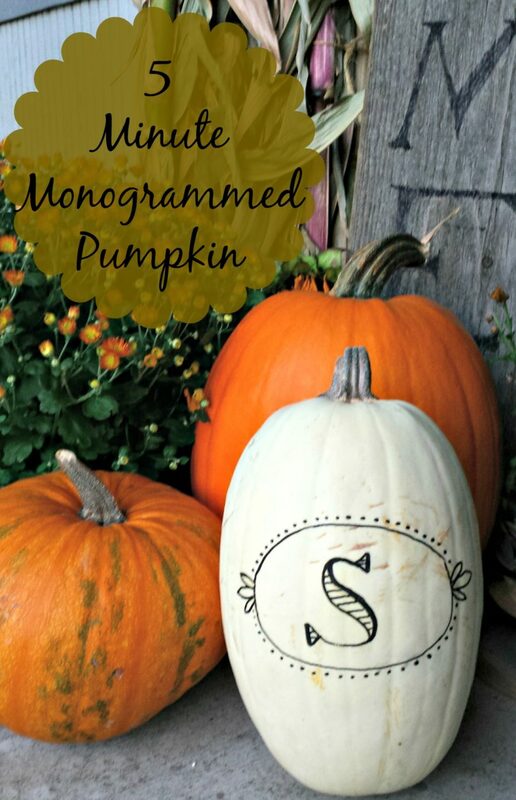 **Here is some info on making your own repurposed pumpkins out of items you already have. What is your favorite way to decorate for FALL? 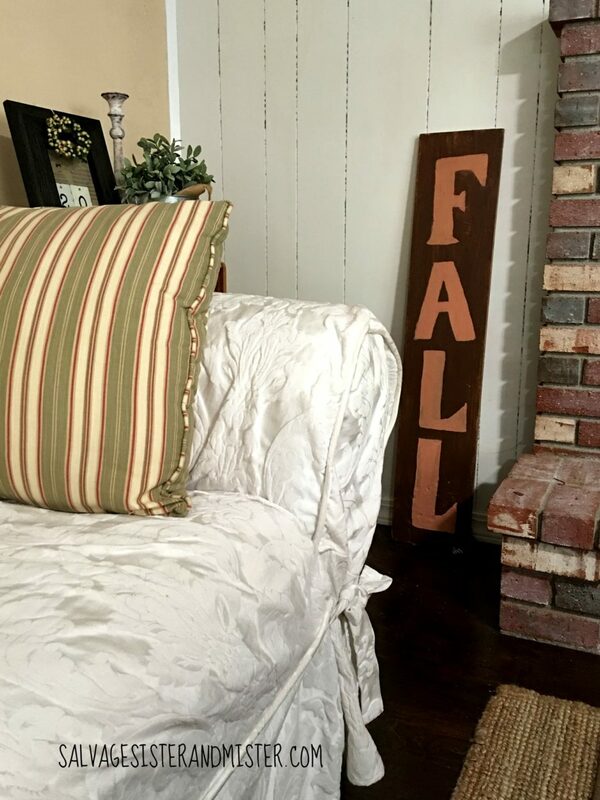 Here is another simple fall home decor post we think you will enjoy. 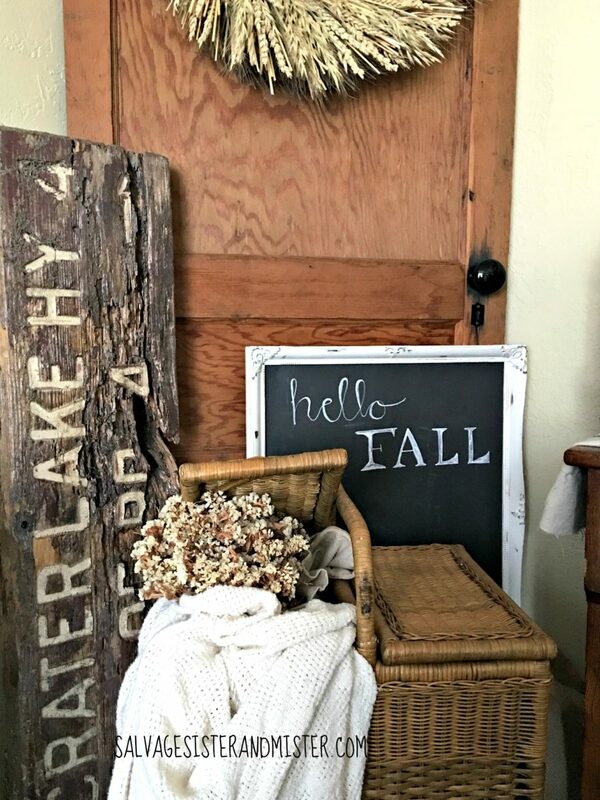 Along with the simple fall home decor ideas, I just love these images. Those pumpkins are reminding the Halloween festival. Last year I’ve designed my house with pumpkins and it was great makeover. THanks Melvin for stopping by! 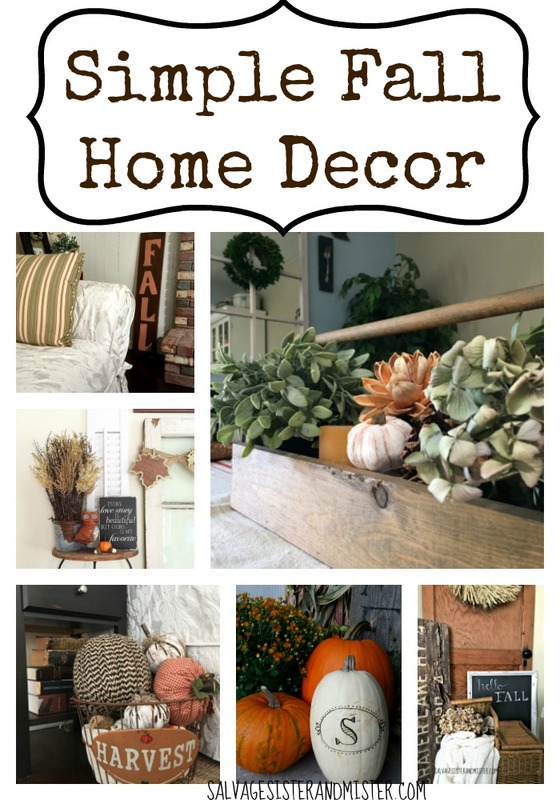 So many great Fall ideas!! Love all of your pumpkins in your basket! These are all such adorable and creative ideas. Thanks for the inspiration. 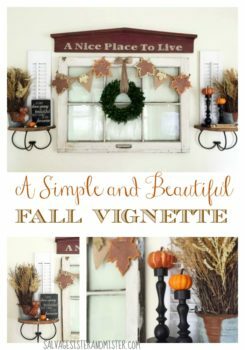 Loved this post Simple Fall Home Decor . Sharing it on my Facebook and Pinterest profile. The kids got so excited when I told them about the pumpkin smashing idea! laurel recently posted…Best Chainsaw Reviews for 2018 – Best Electric Chainsaw and Gas Chainsaw guide! Laural, It is def an annual thing here 🙂 Hope you get to add it to your family traditions.